Having a good night’s rest is important both for you and your little one. They need sleep primarily for brain development, healthy weight, and overall growth; while you need it to function properly, fulfill your daily responsibilities, and recover from the previous day’s activities. While it’s nice to have a slumber party with your child once in a while, neither of you may be sleeping as comfortably as you should if you’re always in the same room. 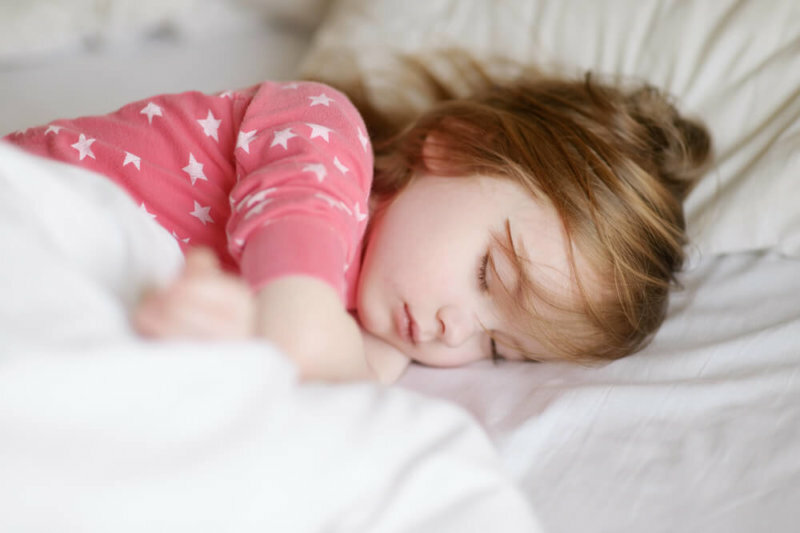 Why Does Your Toddler Need to Sleep in Their Own Room? 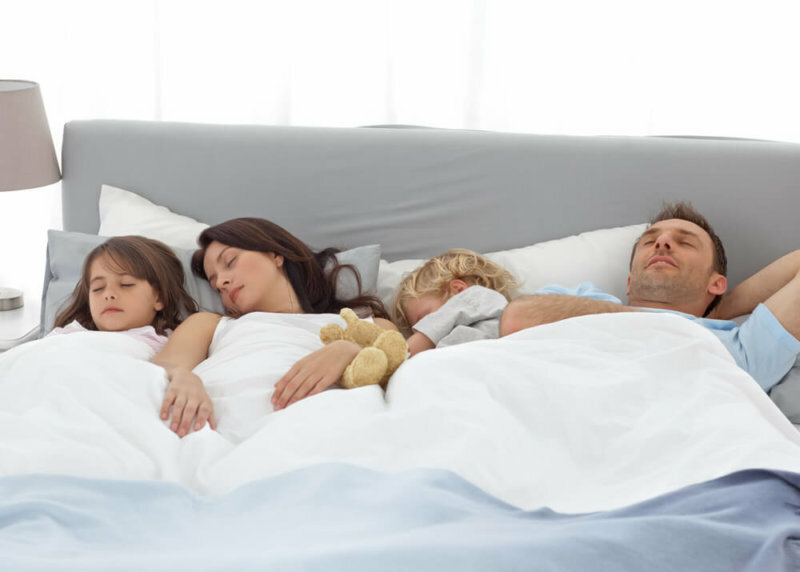 While some experts argue that co-sleeping done right is safe and beneficial for both parents and children, it may not always be the case. 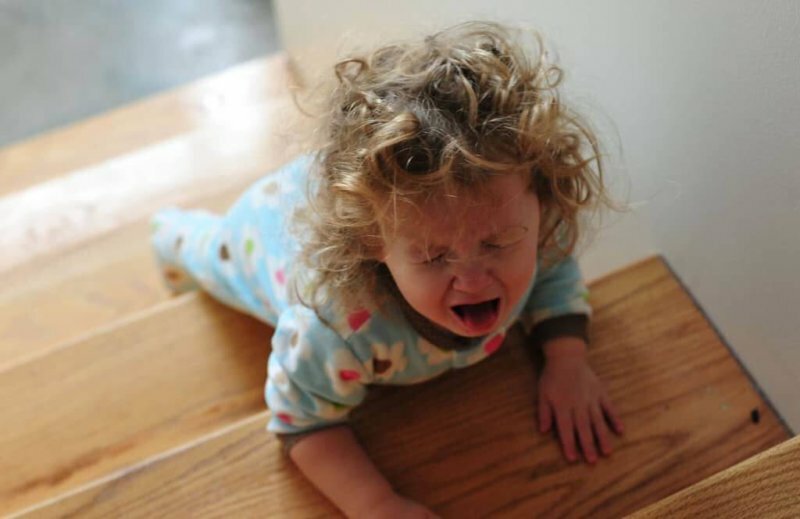 Parents may get less satisfying sleep if they have to get up every couple of hours to check on the toddler and cater to their every whim. Meanwhile, since adults typically have to get up earlier to get ready for work, the toddler’s sleep may be getting interrupted regularly; which means that they may not be getting the full 10 to 14 hours of sleep a night they require. This study in 2017 discovered that independent sleepers as early as nine months slept 40 minutes more than babies who still room-share with their parents. By 30 months, these babies slept soundly for more than 45 minutes compared to the latter every night. Having the child sleep in a separate room means a complete and satisfying sleep both for you and your kid. When Should Toddlers Begin Sleeping in a Separate Room? 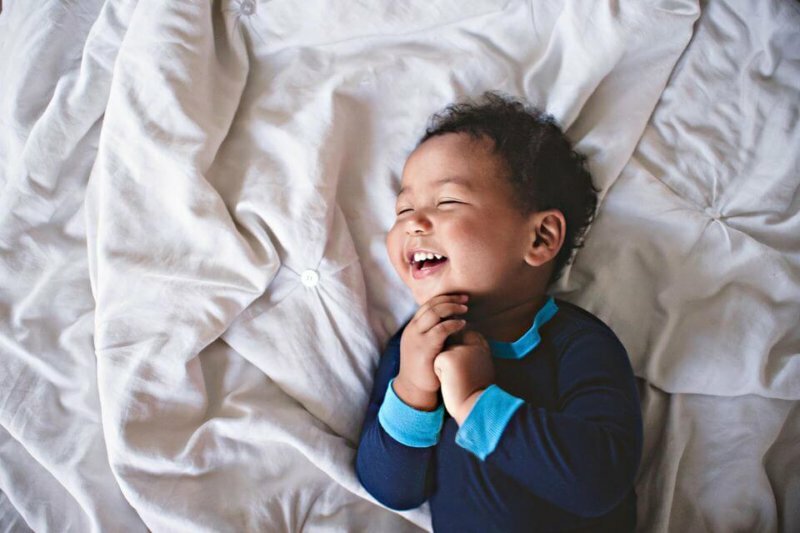 The American Academy of Pediatrics recommends that babies should share a room with parents for up to 6 months of age, to decrease the risk of SIDS (Sudden Infant Death Syndrome). After these crucial months, however, the line gets blurry as to when the optimal time is for a child to sleep in their own bedroom. Some pediatricians recommend co-sleeping until the first 12 months to encourage bonding and enhance parent-child relationship. Some parents start the transfer as early as when the baby is 4 months old; others wait a couple of years before training children to be independent sleepers. 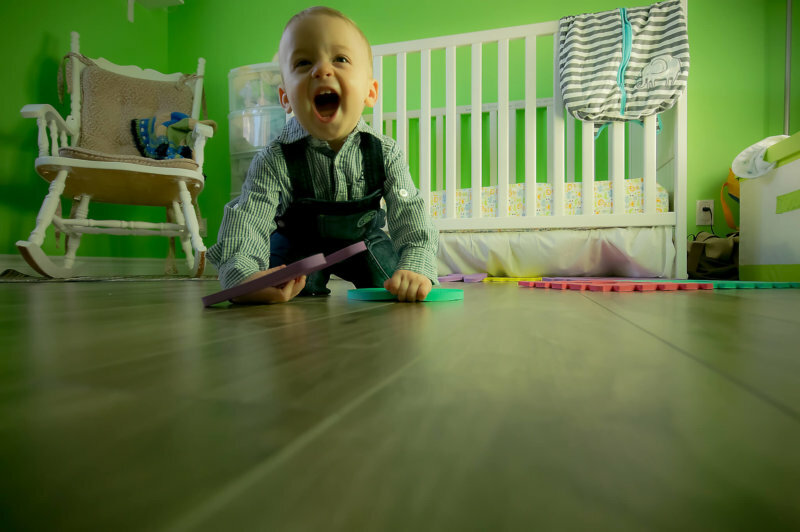 The president of the Canadian Pediatric Society recommends starting to teach children to sleep in their own room beginning 9 to 15 months; but of course, this will depend on when both child and parent are ready for the transition. How Do You Teach Toddlers to Sleep in Their Own Bedroom? Again, this really depends on each parent and child—not to mention the uniqueness of parent-child relationships—but we’ve put together some common tips and tricks that may help you out, should you feel like you don’t know where to start. The very first step to a successful transition is to explain the change to your child. The sleep association with a parent around needs to stop, and they need to understand that. Tell them that separate sleeping rooms will help both of you have a more satisfying sleep, which means they will grow up to be healthy, while you can take care of them better. Letting them in on the reasoning behind the training will let them know that you aren’t abandoning them, and it’s possible that they will be more cooperative in the process. Separation anxiety can and will become an issue. To address it, you can take small steps; you don’t have to get the child to sleep alone cold turkey. Roll out a sleeping bag or extra mattress and sleep in their bedroom all night. This gives them the assurance that they have nothing to fear sleeping in their bedroom, and that it is a perfectly safe place. You can switch to a chair after a few days, waiting until the child is asleep before going back to bed. Move the chair further and further away from their bed until you’re eventually back to your own bedroom. In most cases, the child will almost immediately follow you when you leave the room—but don’t let this discourage you. Quietly and calmly put them back to the bed, repeating this action until they stay in bed. Stick to this routine and the child will soon learn that they are able to sleep all alone, and that there is nothing to worry about, especially if you are just in the next room. Don’t break the routine even when the child throws a fit! If you do, it’ll only teach them that they can get their way when they throw a tantrum. Once the training has started, bed and room sharing needs to stop entirely, according to experts and experienced parents. You both have to power through against all the tears and tantrums, and you have to make sure that you put back your child into their bed no matter how many times they jump out of it in an effort to stay the night in yours. The only acceptable break from this routine are unforeseen stressful events for the child: illnesses, start of potty training, a new baby in the family, or a vacation—and occasion that may put them through a lot of intense emotions. Having a clear goal for the child can help motivate them stick to the training, no matter how difficult it may be. Although rewards are still highly debated among child experts, it seems that it’s still pretty effective in teaching children new behaviors that they will stick to, even when the reward is not offered afterwards anymore. Toddlers are extremely motivated not only to complete tasks, but accomplish challenging activities as well. Mix this with parental praise and rewards, and they will learn to incorporate the activity into their routine, sooner than later. For example: One mother decided to use stickers not just as a reward, but as a sign of celebration for every night that her daughter sleeps in her own bed without any fuss through the whole night, and although it wasn’t a success every day, it helped motivate the child to follow through the training. Training a child to sleep in their own room is no walk in the park. It’ll take weeks, perhaps even months to get them to settle down in their bed quietly and without throwing any tantrums. This is a stressful event for them, too, so it’s important that you guide them throughout the process. It’ll all pay off when all of your family are sleeping soundly in each of your beds and ready to face the day with energy and enthusiasm.